Victim Kimberly Harvill, Joshua Aaron Robertson and the victim’s half-sister, Brittney Sue Humphrey. LOS ANGELES – One of two men charged with murdering a woman whose body was found in August 2016 near State Route 138 in Gorman pleaded no contest Friday. Joshua Aaron Robertson, now 29, was immediately sentenced to life in prison without the possibility of parole following his no contest plea to one count each of first-degree murder, possession of a flammable device and possession of a firearm by a felon, along with three counts of kidnapping and two unrelated arson charges, according to Greg Risling of the Los Angeles County District Attorney’s Office. Robertson also admitted the special circumstance allegations of murder of a witness and murder while lying in wait, according to the District Attorney’s Office. 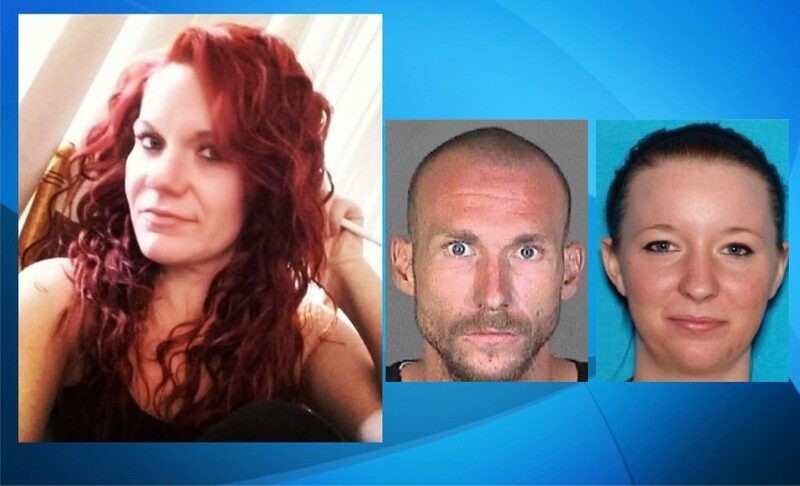 He was charged along with co-defendant Alex Richard Valdez, 29, in the killing of Kimberly Harvill, whose body was found in August 2016 in some brush by a motorist traveling along Gorman Post Road, north of State Route 138. Valdez is awaiting trial next week in a downtown Los Angeles courtroom on the murder count. Harvill’s half-sister, Brittney Sue Humphrey, then 23, was sentenced to 13 years in prison after pleading no contest in 2017 to three counts of kidnapping the 26-year-old victim’s three children. The children — who were then 2, 3 and 5 — were found safe in August 2016 in a motel outside Albuquerque, New Mexico, in the care of a good Samaritan who notified law enforcement, authorities said. Humphrey and her then-boyfriend, Robertson, were arrested the following day in Pueblo, Colorado, and were subsequently charged with murdering Harvill. But Los Angeles County prosecutors subsequently filed an amended complaint charging Robertson and Valdez with Harvill’s killing, saying they did not believe they had enough evidence to proceed with a murder case against Humphrey. 2 comments for "Man pleads no contest in woman’s killing"
Now Josh will live in a guard gated community with all of the amenities. No. He will be buried alive in a 6×9 concrete tomb, let out to feed and exercise once a day, and forgotten. A fitting end to a murderer.